Episodes 7 & 8 delved into the aftermath of Jaya’s murder, weaving various storylines together as an arrest and trial ensued. Bailkin noted the imperial investment in defining acts of violence, especially murder, as part of the Raj’s project. She argues: “British violence toward indigenes was made an object of policy initiatives by the Government of India. Defining violence, both indigenous and foreign, was one key task of the Raj, along with clarifying the boundary between legitimate and illegitimate violence,” (2006: 462). As I watched these two episodes, Bailkin’s article, and its delineation of legitimate and illegitimate violences, came to mind precisely because of the bare depiction of Ramu Sood’s murder trial and sentencing. 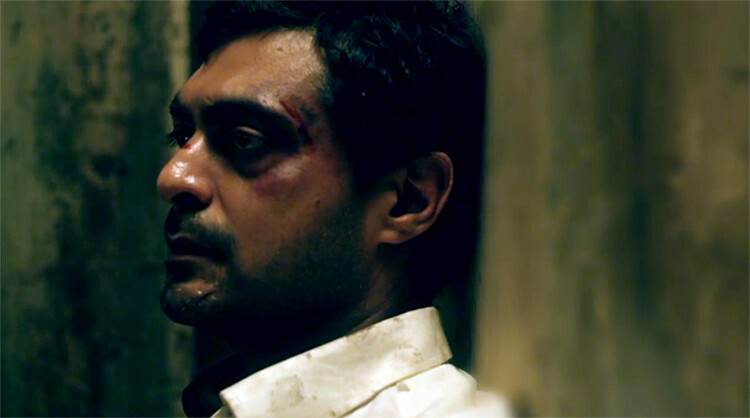 In episode 7, we see him bloodied–Ian describes him as “wearing his face inside-out”–and Ramu flatly tells Ian: “This is what a confession looks like.” Later in their conversation, Ramu tells Ian that his real crime was imagining that he was special, that the rules of India didn’t apply to him; he tells Ian that he brought his fate upon himself not because of guilt but because he refused to keep his place. In episode 8, Ramu is tried, convicted, and sentenced to hang. What strikes me are the ways in which other violences are also portrayed–violences like Ramu’s beating, of course, but also character assassinations, racial microaggressions, social threats and excommunications, and forceful (sometimes governmental) silencings. Some of these are violences are legitimate (murder) while others are not (police brutality). As an audience, we are certainly led to believe in Ramu’s innocence despite his conviction, and simultaneously we are primed to agree with the Amrita Bazar Patrika quote: the system is rigged, so it may well be impossible for a European to commit a murder in India. Mike, last time, we both thought that the Iam McLeod and Ramu Sood storyline deserved more time and attention and that it could be interesting. Since their relationship has become central in these episodes, what do you make of it? MJA: I think you have highlighted the most compelling part of these two episodes–especially episode 8. I think it was all summed up when Ramu yells at Ian, “This is INDIA!” Indeed, it is and the normal rules, as Bailkin argues, do not apply here. 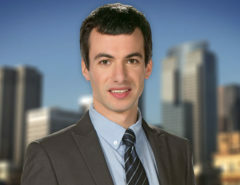 As I watched the scene with Ian sitting on his porch thinking back to his arrival in India as naive young man, I realized that this whole show isn’t really about Ralph and Alice. It’s actually about all of the “half caste” characters. It’s about Ian, the Scottish young man exiled already suspect and eventually exiled from the British community. It’s about Sarah, the missionary’s wife, who so desperately wants to be accepted but can never quite make it in. It’s about Leena the actual half caste Christian convert. Even the Dalal family, Parsis caught between the Raj and their homeland, are in-between characters. 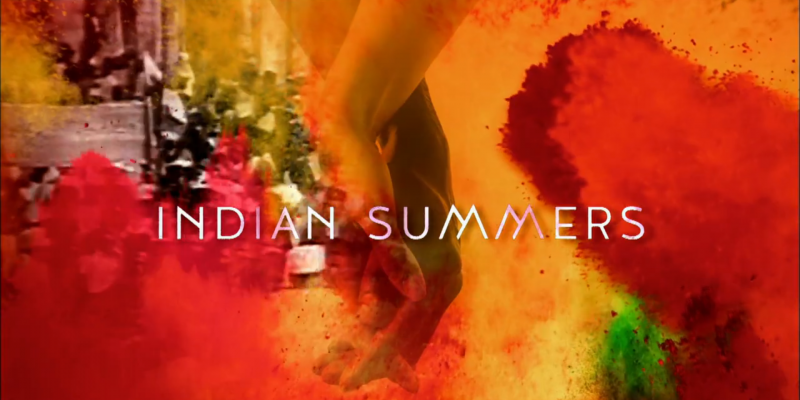 As we reach the finale of the show, the real story of Indian Summers is the story of people caught in a land where rigid categories and boundaries order society all the way up but where they cannot find where they fit. 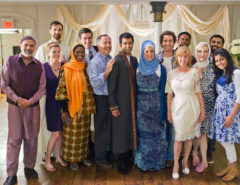 IMF: I think these have been compelling episodes in terms of interpersonal relationships. What do you think? For my part, I am still stuck on Ralph’s character. He seems to be moving ever closer toward being The (British) Man, controlling and manipulating, and seemingly doing so out loud, without compunction. But there are moments that he returns to the realm of human and not caricature. For example, Ralph seemed human–maybe almost honorable–when he articulated how Indians might see inherent hypocrisy in holding a production of The Importance of Being Earnest while Gandhi was on a hunger strike. He weeps at seeing Jaya’s body in the morgue, and tells Cynthia he was close to throwing his life away for her, at a time. These are pithy examples, but perhaps they stand to complicate his rakasha-status. And it ends, “Yours is the Earth and everything that’s in it, / And—which is more—you’ll be a Man, my son!” Will Ian be a man? That’s the question. Sooni as a so-called chaiwallah in a law firm is exciting. (She’s clearly much more than that.) I’m hoping we see more of her in this role. She offers some of the most incisive critiques of the Empire, has a fun little banter with (maybe eyes for?) Ian McLeod, and it’s fun to watch. Dougie rejecting Ralph’s check: who knew he had backbone? What will the consequences be? Sita and Aafrin. The real-world consequences of a failed, premarital relationship will bear on her (see this primary source, here); he will move on. This is compelling for all its sadness and asymmetry: we root for Aafrin to find love, perhaps, but Sita will be unmarriable, “fallen,” ruined. Alice and Aafrin. 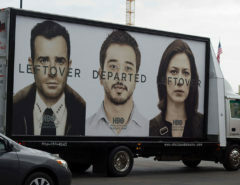 Still watching, still not sure how I feel about it, but still watching. I’m so over Alice and Aafrin. And you are very right about the asymmetry of Aafrin and Sita. Ok, who killed Jaya? Like seriously? I’m not sure Ralph did it. But did you notice how the final shot of episode 8 focused on his sandals…which are just like the sandals that they showed in court! I still don’t know. There are a lot of things to wrap up in that two hour finale this weekend!